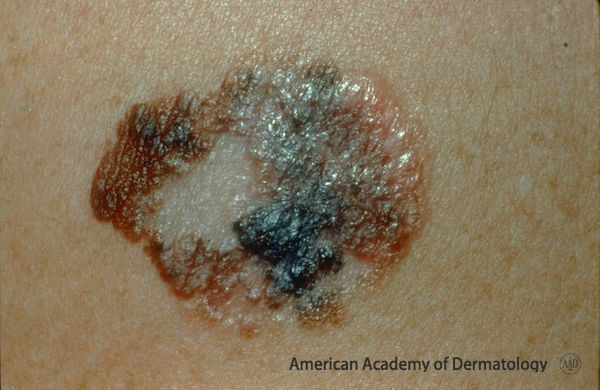 If you’ve had melanoma, which is the most dangerous type of skin cancer, you should know that it can return, even 15 or 20 years after you were first treated. Doctors once thought if a patient was disease-free for 10 years that melanoma would not likely recur, but research has shown that not to be the case. A 2013 study published in the Journal of the American College of Surgeons found that melanoma returned 15 years later for 7 percent of patients who were treated for that skin cancer, and it recurred after 20 years for 11 percent of patients. The authors suggested that the tumors reappear after treatment because cancerous residue remains in the body but stays dormant and doesn’t produce symptoms for a decade or more. On the plus side, the later recurrences were associated with better survival rates than the original cancers, although the tumors tended to occur elsewhere on the body rather than near the original surgical site. Melanoma can arise anywhere on the body, including areas never exposed to the sun, but it typically affects the upper back, chest, arms, or legs. If you’ve had a melanoma, you must be vigilant about protecting your skin from the sun and examining it frequently for changes, advises Warren I. Dotz, M.D., a dermatologist with the University of California, Berkeley. That includes getting a full-body exam by a board-certified dermatologist at least annually, according to the American Academy of Dermatology. An April 2017 study in the Journal of the American College of Surgeons found that patients and their doctors are more likely to detect recurrences of melanomas instead of having them turn up on imaging tests such as PET, CT, or MRI scans, which aren’t routinely recommended anyway. “Be aware that if you’ve had one melanoma, you’re more at risk than the general population to develop a second or third melanoma,” Dotz adds. The good news: About 98 percent of melanomas can be cured when detected early. Treatment options have multiplied during the past decade, and many newly approved and experimental treatments are making a big difference in improving outcomes for patients. Nancy Monson is a freelance writer and certified health coach. Her articles have been published in over 30 national magazines and newsletters, including AARP The Magazine, Family Circle, Shape, USA Today, Weight Watchers Magazine, and Woman’s Day. She is also the author of three books, including Craft to Heal: Soothing Your Soul with Sewing, Painting, and Other Crafts, which links creativity to well-being. Read more of her work on her website and follow her on Instagram and Twitter.